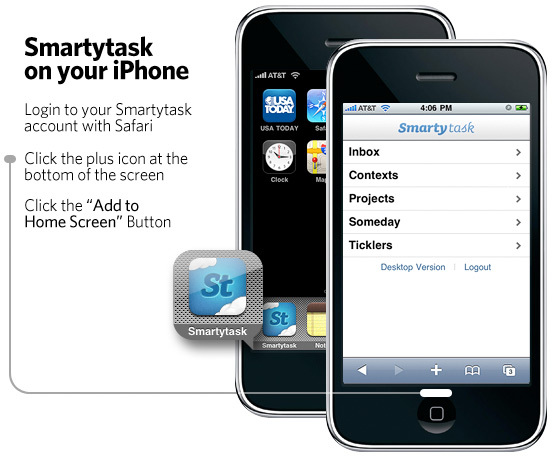 Smarty Task is in the process of doing some updates to the entire system. 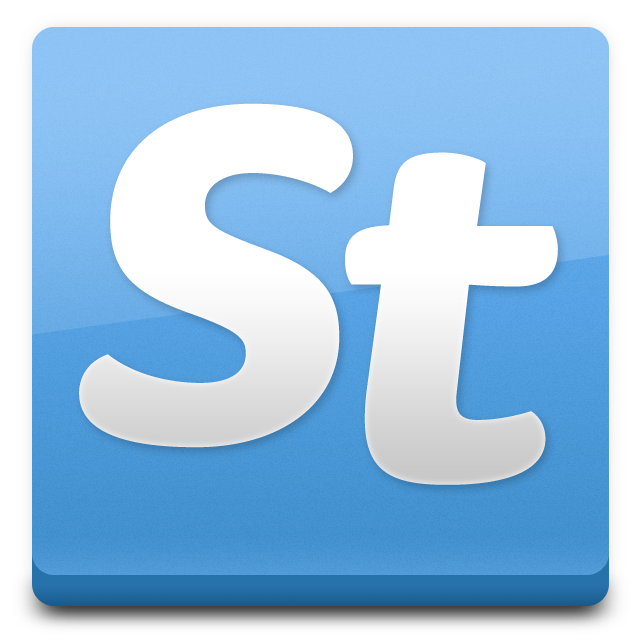 If YOU need help implementing GTD below is a link to Getting Things Done getting started page. To stay productive, you gotta get that awesome idea out of your head and into your system without skipping a beat. Recently we came across an app that's better at it than anything we've ever seen, and it's called Captio. It's the best buck you'll spend this month, and combined with our email to inbox feature it's a dream come true. Note: we're not affiliated with Captio, just like it a lot. You can now create repeating ticklers. 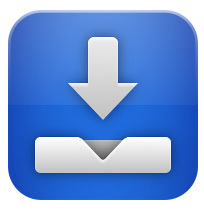 When assigning a date to a new tickler, you'll notice a "Repeat" button below the date selector. The options allow you to set them to repeat at almost any conceivable interval. 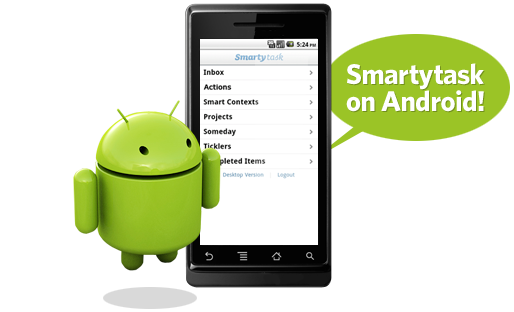 The mobile version of Smartytask now works on your Android device, and we're told it's quite snappy. Like the iPhone app, just login to your account on your devices web browser and it will detect that you're on the go, and log you into the mobile version of the site. LoFi mode is now active on all accounts. Access it at smartytask.com/lofi/. It's a plain html view your system, great if you find yourself on an antique web browser, or device not yet supporting the full app. It's also a very clean printing option for us note card junkies. 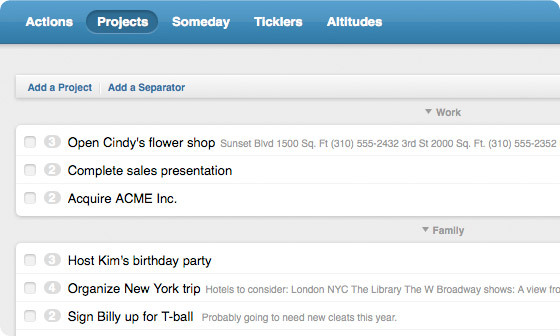 Being able to quickly get ideas out of your head and into your inbox is a must for any good GTD system. 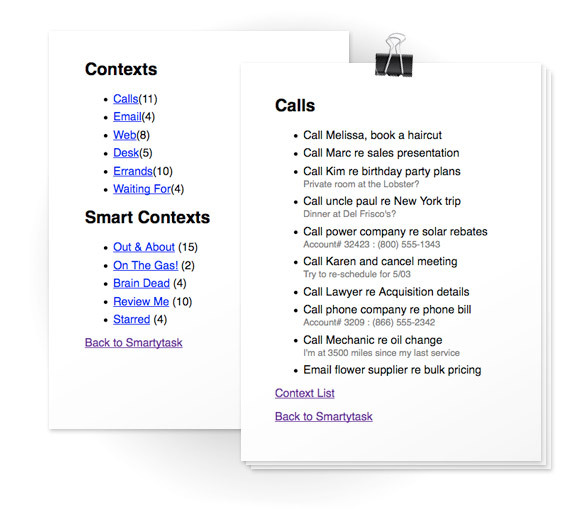 Aside from the obvious zillion email capable devices, this also opens Smartytask up to some creative integration with other third party web apps that send reminders, notation, etc. Or, perhaps another person you trust with this type of access. *Also in this update: We fixed a bug that was making lists print out incorrectly.